Picture 1: Paul Stoller. 11 February 2017. Image published with permission. Writing ethnographic texts is a central skill for anthropologists. How does one make a sound theoretical argument and simultaneously capture the reader’s full attention by bringing her or him to the field with words? PhD candidates in anthropology are required to write their first full length ethnography. They experience the challenge with this particular genre of writing to develop a theoretic analysis integrated within literary ways of writing, while at the same time fulfilling institutional requirements. The anthropologist Paul Stoller has made himself a name in the field of ethnographic writing. He argues for ethnographic storytelling through evocative writing: ethnographic descriptions should speak to the readers’ senses and convey a feeling for the situations and contexts in which then the anthropological argument is rooted. Over the past years, Paul Stoller has started to give ethnographic writing workshops in order to transmit this skill to younger generations of anthropologists. In February 2017 it was the turn of PhD candidates from Berlin. Initiated by a group of PhD candidates from the Institute of Social and Cultural Anthropology (IfSKA) at the Freie Universität Berlin and with the generous support from the Berlin Graduate School Muslim Cultures and Societies (BGSMCS) twenty PhD candidates participated in a three-day long writing marathon that required all their sensuous capacities. Almost 30 years after its introduction, Stoller’s sensuous scholarship and his approach to writing evocative ethnography still catches the interest of generations of anthropologists who filled the lecture hall to the last seat. 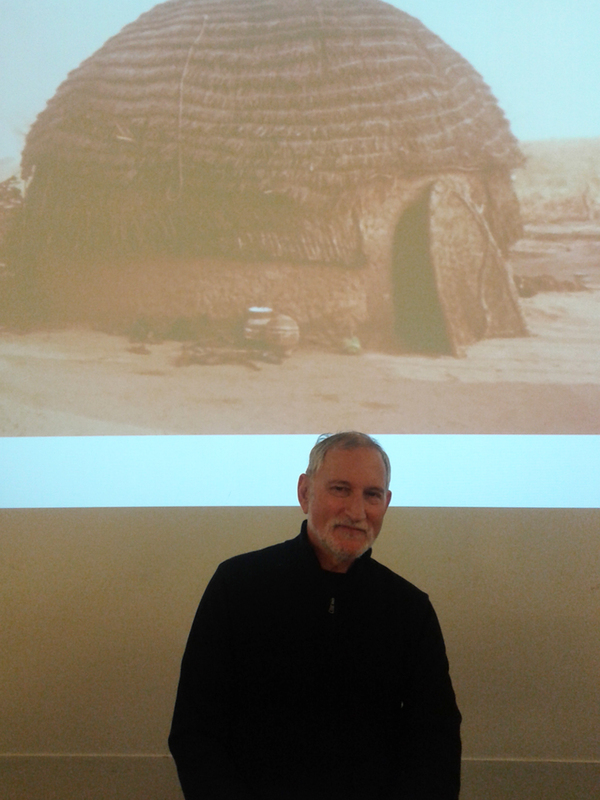 Picture 2: Paul Stoller in front of a picture showing his Songhay teacher’s spirit hut. Freie Universität Berlin Public Lecture, 8 February 2017. Image published with permission. How can we present the protagonists of our fieldwork to the readers as multidimensional human beings in their social and cultural contexts? How can we describe a place to make its presence felt, taking the reader to an arid village in Tanzania where a welcoming breeze cools the compound of a family, or to the busy streets of Beirut, where the never-ending traffic and vivid street life underlines social interactions with a thick sound tapestry? How can we shape the rhythm and pace of a text by changing between short and long sentences, active and passive voice, direct and indirect speech? Picture 3: Workshop participants writing, reading and discussing. 11 February 2017. Image published with permission. These questions, amongst others, steered the theme of the workshop, Weaving the World: Writing Evocative Ethnographies. Under Stoller’s guidance and through mutual support within the group the participants constantly improved on their writing. Everyone was encouraged to read out her or his writing attempts to the group, taking all participants on a multifaceted journey around the world to the specific field site, and to meeting the protagonists of each ethnography. These short writing pieces showed the vigor of evocative ethnography: memorable stories told through sensuous accounts of places and characters from near and far that exercise the power to describe an increasingly complex and interwoven world. To make the questions raised and discussed during the workshop accessible to a wider audience, we asked Paul Stoller a couple of questions. Nasima Selim: Since the publication of Sensuous Scholarship (Stoller 1997) you have influenced generations of young anthropologists. How much do you think this has changed contemporary anthropological practice? Paul Stoller: Actually, I started writing about sensuousness in the 1980s. At that time there were two people: Me and Steven Feld, who wrote Sound and Sentiment (1984). Some of my ethnographies were based on the idea of sensuousness, even before I published The Taste of Ethnographic Things (1989). It came out in the late 1980s. I think that spawned a whole movement towards sensuousness, or sensorial anthropology, as some people call it. It later diverged into two directions: One direction is represented by authors like Steve Feld, Robert Desjarlais, Michael Jackson and me who try to write our ethnographies sensuously. The other direction, a much larger group of people, focuses on sensuousness as in the analysis of perception. They do cross-cultural comparisons and histories. They are interested in more theoretical dimensions of where sensuousness might take you. Sometimes when you are on a ground level of things, you make some contributions and assertions and you have no idea where it is going to go, where people are going to take it. So for me it is great that my contribution has focused social science’s attention on the dimension of sense and also sensitized people to the fact that there is more than vision out there. There are other dimensions of sensual experience that are quite important in understanding social life. Nasima Selim: When you started it, sensuous scholarship was not accepted. Would you say that by now it has become an accepted practice in contemporary anthropological writing? How do you think the so-called affective turn figures in conjunction with the senses? Paul Stoller: Sensuous Scholarship is much more accepted now than it was in the past. But it is still not central to anthropology. You know, the academy is very conservative and slow to change. I think the potential connections between sensuousness and affect are very productive. We have excluded the emotions from scholarly discourse for a very long time in such scholarly description. I think it is a productive and positive development. Nasima Selim: How do you engage with the affect theories? Paul Stoller: Maybe what I write embodies this kind of theory, but I do not articulate it explicitly. If you look at Yaya’s Story (2014) it is a lot about emotion, but there is no discussion of affective theory. This is pretty much my approach to theory in this stage of my life: I would rather embody it in my writing than articulate it explicitly. I would evoke it through my narratives, through my ethnography and my memoires than come out and state this is my position on sensuousness. Nasima Selim: What have been the key lessons in your journey as an anthropologist? How do you think that an anthropologist chooses his or her topic? Paul Stoller: I think that the topic chooses the anthropologist rather than the other way around. In Songhay they say that if you want to seek out sorcery or magic, you will never discover it. You might approach it, you might talk about it, you might meet some people, but it will never grab you. So, what happens according to them is, if you eat magic, which is, you eat the substances to transform yourself, then magic eats you. If you consume history, you are consumed by it. It is the larger force of things that focuses on you. In my case, my initial fieldwork was in linguistic anthropology and I was interested in Friday mosque sermons. I never sought out to learn about sorcery. But then – I described this in my book In Sorcery’s Shadow (1987) – there were these two birds living in a rafter of the house where I was living. They were pooping on my floor and I got all irritated with these birds so I would knock their nest down. They would fly away, but then build another nest and get closer and closer to where my desk was. So after a while I just stopped paying attention to them. One day one of the birds pooped on my head in the presence of a guy that I thought was a rice farmer. But he turned out to be a Songhay healer. He said, “I’ve seen a sign, you’ve been pointed out to me. Come to my house and begin to learn.” That is how I got into the topic of sorcery. For me at least, things have sought me out. I have stumbled into sorcery. As a part of that process, I have stumbled into sensuousness where one of my teachers questioned my sensitivity. He said I did not have the perception, I could not see. My eyes were not sensitive enough to see something that was invisible. My ears were not sensitive enough to hear something that was imperceptible. My touch was too clumsy to feel something that was very subtle. I had no sense of sensuous anthropology. But this Songhay healer challenged me, because we went out looking for someone’s soul that had been stolen. He found it, and I could not perceive it, did not hear or sense it. And he said: “Well, you need to train your senses.” That was another sensory dimension that had never occurred to me. That interaction made me think that maybe I should focus more on the sensual dimensions of field experience. Nasima Selim: Today during the workshop at one point, you were talking about teaching. If you look at your anthropological life, you have been doing fieldwork, building relations, writing about it, but you have also been teaching! 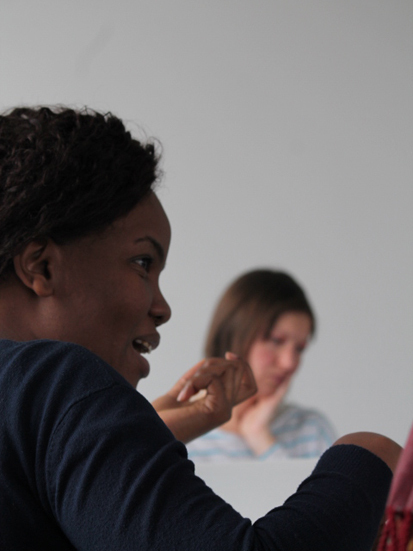 How important is teaching for you as an anthropologist? What do you think is the role of teacher student relationship in anthropology? Paul Stoller: Teaching is absolutely essential, and I think it is very important for senior people like me to teach undergraduates, first year students, and introduce them to anthropology. As a professor, it is my obligation as a scholar, not just to worry about my research and publication, but to worry about opening the world to the vision of these students who sometimes come from narrow-minded families and have limited experience. It is my job to guide them into the world and let them make their own decisions about what they think about it. Given the current political situation in the US – and, I guess, to a lesser extent in Europe – it is important for me to expose them to anthropological insights. So they have a grasp of what is going on politically in the US. The classroom for me is almost like a battleground. At least in the US, I see the rise of Trump and other people like that as a failure of our education system. I think it is incumbent upon people who are professors to educate our students in a very serious way, so that they are equipped to make informed decisions about voting, but also politics and policy. Paul Stoller: Absolutely. When you look at Franz Boas it is our history to be anti-racist, and to call for religious tolerance. In this day and age, there is an explosion of racism and religious intolerance, Islamophobia and Anti-Semitism as well. It is really incumbent upon us to reconnect with that tradition. Not that we have been disconnected, but to reinforce the fact that this is deep in our roots. We need to reassert it. To me that is the goal of public anthropology today, to do just that. Nasima Selim: As anthropologists, we have different roles. We are fieldworkers, researchers, storytellers, writers, educators. We can also be artists or activists. How do you conceive the identity of an anthropologist? Paul Stoller: I mean all that is part and parcel of being an anthropologist. Being a researcher, being rigorous in your methodology, thinking analytically, all that is very important. But ultimately, for me – other people might disagree – I see myself as a storyteller. I use all the tools that I learned through my experience as a scholar, my research experience, to tell these theoretically informed stories. Such that they have some impact on people who care to listen to them. Jean Rouch whom I consider to be one of my teachers defined himself as a storyteller. He used film to tell a good story. But the story is informed by deep knowledge of an area, in this case Songhay knowledge which was much deeper than mine, amazing! That sort of theoretically deep experiential knowledge crafts a story that is powerfully evocative. Nasima Selim: Crafting a powerful evocative story requires certain skills that young anthropologists have to learn. Writers also have their personal, particular writing styles. What would you say makes a good anthropological text? Paul Stoller: A good anthropological text is one that, for whatever reason, continues to be read and debated long after its publication. A text that remains alive and precipitates debate long after the period of publication is one that is a classic text. It is as simple as that, deceptively simple. Nasima Selim: But how to do that? Paul Stoller: Well, I think it has to do with narrative and descriptive writing. If you read Malinowski’s Argonauts of the Western Pacific (1922) or Coral Gardens and their Magic (1935) you notice that although English was not his first language, he was a terrific writer. And he is a very sensuous writer. He evokes a lot of sound and smell. It has become a model of ethnography. The readers can feel like they have experienced what life is like in that particular place. If you read Piers Vitebsky’s Reindeer People (2005) you have a sense of what it was like not only to live among the Eveny hunters, who have reindeer herds in Siberia. But also what it was like to live in that context, in the changing, shifting situation of Soviet Union and Russia, and how those macro changes affected the lives of these people. All of that is woven into the evocation of place in the story. He presents his various main characters in a way that you know them by the time you finish. Another characteristic of a good ethnographic text or any kind of novel is if you feel sad, when you turn the last page. Because reading feels like you are sitting down with the author, like you are having a conversation with the author, and you enjoy it. When you turn the last page of the book, the conversation is over. And you feel a little sad. It is certainly hard to find books like that, but occasionally you do. Nasima Selim: Many of us at the Institute and the Graduate School are non-native English speakers. This adds a layer of complexity to writing. Do you have any advice for the non-native English writers? Paul Stoller: Well, I do not have any advice, but to take heart in the fact that some of the greatest anthropologists writing in English were not native English speakers – Malinowski for example. Sometimes the non-native speakers have a unique command of the language and they write very clearly. Take heart in the fact that a lot of non-English speakers write fantastic works: Ethnographies, articles, and blogs. Nasima Selim: To take cue from this, you say anthropologists are storytellers and, generally speaking, everyone enjoys good stories. One would assume that anthropologists have an advantage over other social scientists, to communicate through the media to the public. But this is rather uncommon, especially in Germany. How can we as anthropologists write so that the public at large become interested in our work? Paul Stoller: Well, all of my texts are written in a way that can appeal to students and the general public. But that did not really create my public anthropology profile. Blogging created that. I started blogging for the Huffington Post in 2010. And since then I have written hundreds of blogs. Blogging has certainly expanded my audience. When you publish a blog text, it is hard to imagine how many people read it. It spreads like ripple, like a stone thrown into water. If your blog is shared by a hundred people, who each have a network of 200 or 300 people and they share it – it is just exponential. At least, it can be! From the standpoint of the blogger himself or herself it is hard to know how many people are reading it, but you can rest assured that more people are reading it than you would ever imagine. I have also discovered that many people have come to read my books after reading my blogs. As a consequence of my blogging in the popular media, people sometimes contact me for comments about this and that. But by and large my blog is my link to the public. 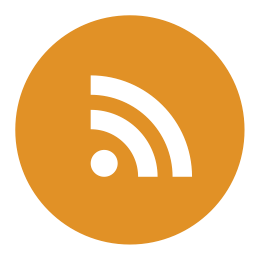 Unfortunately, it is a somewhat narrowly defined link because it is with the Huffington Post. That is one small segment of the American population who are politically progressive. I think the blog and the public sphere is an open door. More and more anthropologists are walking through the portal. Eventually, if you are persistent you can become part of the public sphere and make commentary on everyday events. Nasima Selim: Often there is a kind of resistance that if we do blogging we might be reducing complexities. But as you said, today one of the jobs of anthropologists is to really approach this complex reality and to write about it in an elegant simple way. Paul Stoller: My blogging has made me a better writer. It has forced me to write snappy prose where I bring a lot of information into a very short text format, like 850, maybe a thousand words. With blogging you cannot really be nuanced. But you can say an awful lot in 850 words, once you get the hang of it, once you do not waste words and just focus on the essentials. It is amazing what you can produce. Nasima Selim: Speaking of some of the challenges of blogging, when you are in the academic field certain publications are considered to advance your career and blog articles may not be taken into account. So, what would be your advice to encourage young scholars to do more blogging? Paul Stoller: I would say, you should publish what you need to publish. Because institutions are not going to change that fast! But do not exclude blogging because it is important. To me it is the scholar’s obligation to reach out to the public, especially in these times. If anthropologists have insight and knowledge they should obviously pursue the professional outlet and scholarly monographs. But they should not neglect the public dimension. I think that is going to become more and more important. And institutions will eventually change to appreciate this sort of thing. I do not think it will ever replace the academic dimension. However, if universities have public scholars, public intellectuals, who are invited by the popular media to write for them, it is good for the university profile. Nasima Selim: Just one last point regarding blogging and social media. The media scape is changing very fast, there is blogging, there are other social media platforms like Facebook, Instagram, Snapchat, Periscope, et cetera. How can anthropologists keep up with this ever-changing character of digital media? And to what extent should they get involved? 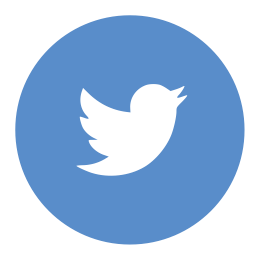 Paul Stoller: I think it is difficult to keep up with all the trends and developments in social media. There are many different platforms and avenues to get the anthropological message out to the public. It is important not to forget the story, no matter how sophisticated your platform is. People very often get all caught up with big data, analytics and all this sort of thing. They get carried away with that. But that is to lose sight of the most important dimension and that is the writer telling a story and making a connection with an audience of some sorts. If there is no story there is not anything – as far as I am concerned! Nasima Selim: Oxford Dictionary chose “post-truth” as the 2016 word of the year, emphasizing that “objective facts” are getting side-lined in the age of social media. Many people get their information from Facebook, Snapchat, and the like, where the so-called “alternative facts” spread. Influenced by postmodernist thought anthropologists have been questioning certain truth values of science and now we find ourselves in a seemingly paradoxical situation: Can questioning the truth become a contested position? Paul Stoller: Well, I see it this way: It is ironic that the post-modernists, who were very progressive, would be giving fuel to alternative facts and the notion that there is no truth. But that is a misreading of the nature of truth and scientific truth. Scientific truth is always truth with a small “t.” It is unstable and never set. It is always being contested and refined. That is the nature of science. According to William James, truth is like a cheque: It is good as long as there is money in the bank. Once the money is out of the bank then it is worthless and the cheque can be discarded. Just as the cheque, truth is a temporary, unstable entity. It is worth something for that moment that you achieve it, you think you have the answers. But then further questions make you refine it. Truth is always a work in progress. You will never reach the ultimate goal but it is worth working toward it. Seeking truth leads to insights and a refinement of our knowledge. Nasima Selim: On behalf of our workshop organizing team, I would like to thank you for the interview. 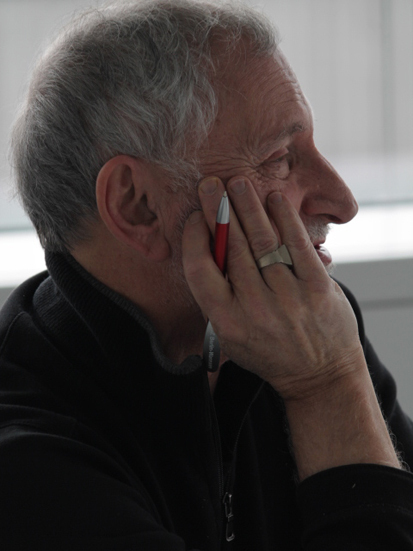 Picture 4: Paul Stoller at the writing workshop. 11 February 2017. Image published with permission. Paul Stoller is Professor of Anthropology at West Chester University, USA. In his more than 30 years of anthropological research and writing, Stoller has focused on Songhay religion in Niger and the life of West African street traders in New York City. His most recent work investigates the dynamics of well-being in the world. Paul Stoller has made himself a name for challenging the limitations of conventional academic writing: He promotes storytelling as way to communicate anthropological knowledge to the wider public. Stoller has published 14 books, including ethnographies, biographies, memoirs as well as three novels. Since 2010 he has been blogging regularly on culture, politics, and higher education for The Huffington Post and became an advocate for a more public and engaged anthropology. The workshop organizing team would like to thank the Berlin Graduate School Muslim Cultures and Societies (BGSMCS) for financial support, the Institute of Social and Cultural Anthropology (IfSKA) at Freie Universität Berlin for organizational support and Prof. Thomas Stodulka for hosting the public lecture. Kristina Dohrn is a research associate and lecturer as well as PhD candidate at the IfSKA and associated doctoral fellow at the BGSMCS. In her ongoing PhD research, she explores the educational activities of the Gülen Movement between Tanzania and Turkey. Britta Rutert completed her PhD at the IfSKA on “Bioprospecting of Medicinal Plants in South Africa”. She currently works in an “Integrative Medicine in Care” project at the Charité in Berlin. Nasima Selim is doctoral candidate and contract lecturer at the IfSKA. She is currently writing her PhD thesis on Sufism and Anthropology in Post-Secular Berlin. Judith Schühle is a PhD candidate and research associate at the IfSKA. For her thesis, she did research on the migration of Nigerian physicians to the US and to the UK, looking at their involvement in a global biomedical landscape. Mechthild von Vacano is doctoral candidate as well as research associate and lecturer at the IfSKA. In her PhD thesis, she explores the interrelation of subjectivity and work based on an ethnographic study in a Jakartan neighborhood. Feld, Steven. 1984. Sound and Sentiment: Birds, Weeping, Poetics, and Song in Kaluli Expression. Philadelphia: University of Pennsylvania Press. Malinowski, Bronisław. 1935. Coral Gardens and their Magic: A Study of the Methods of Tilling the Soil and of Agricultural Rites in the Trobriand Islands. London: G. Routledge & Sons. —. 1922. Argonauts of the Western Pacific: An Account of Native Enterprise and Adventure in the Archipelagoes of Melanesian New Guinea. London: G. Routledge & Sons. Oxford Dictionaries. 2016. Word of the Year 2016 is Post-truth. Last access: 02/03/2017. Stoller, Paul. “The Burden of Writing the Sorcerer’s Burden: Ethnography, Fiction and the Future of Anthropological Expression.” Public lecture, Freie Universität Berlin, February 8, 2017. —. 2016. The Sorcerer’s Burden: The Ethnographic Saga of a Global Family. Cham: Palgrave Macmillan. —. 2014. Yaya’s Story: The Quest for Well-being in the World. Chicago: University of Chicago Press. —. 1989. The Taste of Ethnographic Things: The Senses in Anthropology. Philadelphia: University of Pennsylvania Press. —. 1987. In Sorcery’s Shadow: A Memoir of Apprenticeship among the Songhay of Niger. Chicago: University of Chicago Press. Vitebsky, Piers. 2005. Reindeer People: Living with Animals and Spirits in Siberia. Boston: Houghton Mifflin.